I'm still in that lazy mood after the holidays ... Anyway, starting up this new week with some nice pictures. These makes me wanna rearrange and put some new things on my walls. Photo 1–5: OWI, Verne. Photo 6: Hus & Hem. 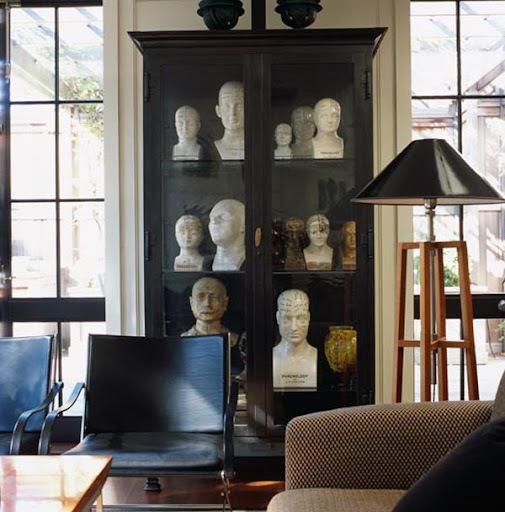 Photo 7: Mindre via Emmas Designblogg. Hi, like to have these on my wall too, first pic is my favorit. Wow! The second to last is my favorite configuration. How unusual, I love it. I love the second to last one- offset open frames around other pieces of art look amazing. The more art everywhere the better! I hope you had some lovely holidays! 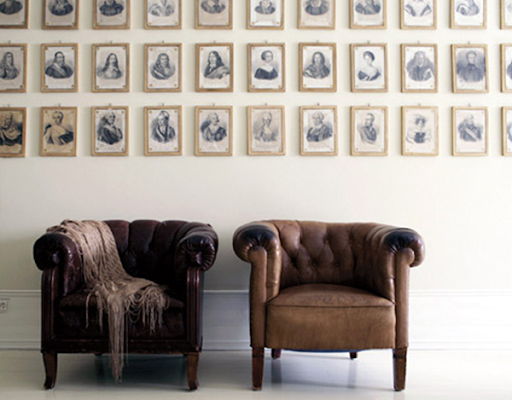 These rooms are all so gorgeous, I really love the look of so much artwork you can't even hang it all. Very inspiring. 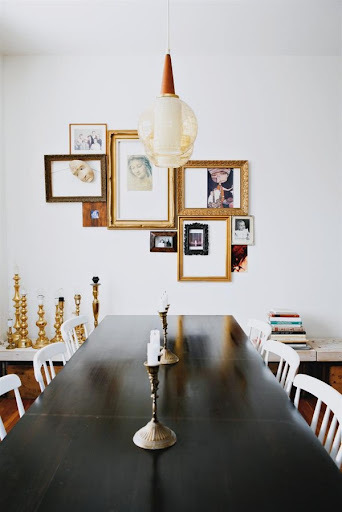 I am in love with the dining room picture grouping! I like the walls. Have a wonderful week! These are some BEAUTIFUL vignettes! 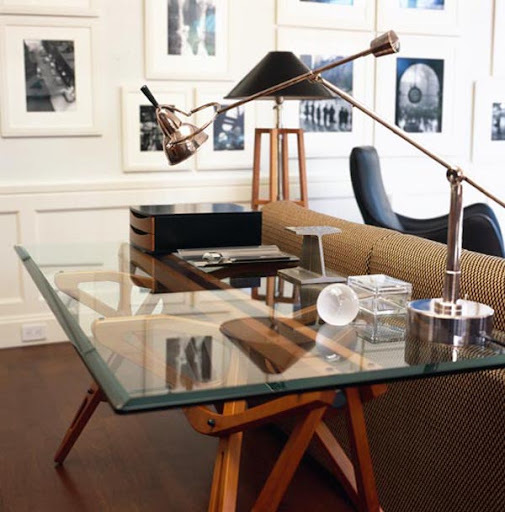 Owow, that glass desk is to die for! I love that the base looks like an art easel...so rustic, yet super modern. Great find Mia! Love the first two images. I'd love to work towards this! I agree! Time for rearranging. What a beautiful & inspriring blog do you have! Thanks for this inspiring post. I adore the rows line drawings of all fashion figures; a hugely effective display! 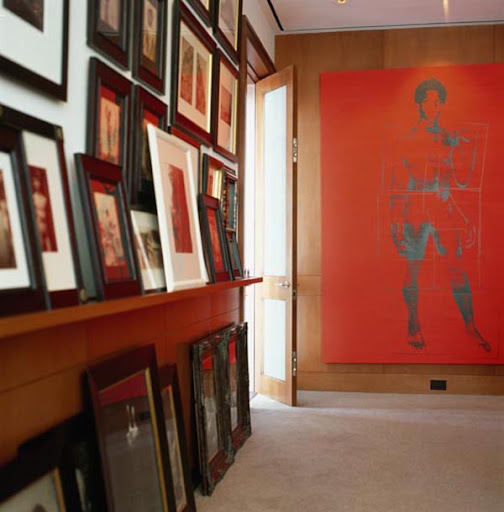 an art gallery in your home.